Also expla, converting an image back into text. Arcticsid asked about turning text into a .jpg. I’ll also explain converting an image back into text. Double-click any word in this paragraph. Your browser will select the word, and then you’ll be able to copy and paste it into your word processor or email program. 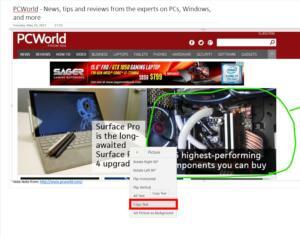 But try double-clicking a word in the picture above (or in any of the other pictures in this article). It doesn’t work. In the digital world, there’s a big difference between real text and an image that looks like text—even if it’s not always obvious to the user. Fortunately, there are ways to turn either one into the other. Let’s start with turning text into a bitmapped image like a .jpg or .png. This is extremely simple. Select the text you want “photographed,” and press CTRL-C to copy it to the clipboard. Open Paint 3D in Windows 10 or regular Paint in Windows 8.1 and under—this is the free image editor that comes with Windows. Now press CTRL-V to paste the text as an image, and save the file (This idea originally came from ElfBane on the now-defunct PCWorld forums). 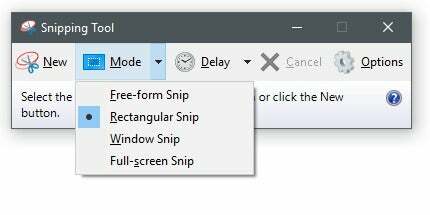 The Snipping Tool in Windows 10. In our experience this works best for older versions of Windows if you’re using Microsoft Word. For Windows 10, however, it should work with pretty much any program that displays text. 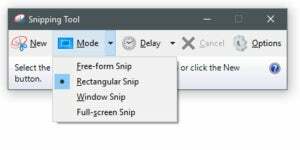 If you’re writing in another program where this trick doesn’t work, you can use Windows’ Snipping Tool to grab any portion of the screen and save it as an image file. Or, if your version of Windows pre-dates the Snipping Tool, simply press your keyboard’s Print Screen key, then open Paint (or any other image editor) and paste the image. This captures the entire screen, so you’ll want to crop the image to just the text. Going the other way—grabbing text out of an image—requires optical character recognition (OCR) software. But that doesn’t mean you need a scanner or expensive commercial software. OneNote can copy text from images. The key is Microsoft’s OneNote, which has been free since 2015 and comes pre-installed on Windows 10. Copy the image, then paste it into OneNote. If you’re using the regular desktop version right-click the image in OneNote and select Copy Text from Picture. If you’re using the Windows Store version, right-click the image and select Picture > Copy Text. In our tests, the desktop app was much more reliable than the Windows Store app for copying text; however, the newer version of OneNote should still work in most cases. If it doesn’t work right away give it a few minutes and then try again. Whichever version of OneNote you use, the text will move to your clipboard as text, and you can paste it anywhere. You can also use the Web service Free OCR. Upload the image file (maximum size: 7MB) and click Start. 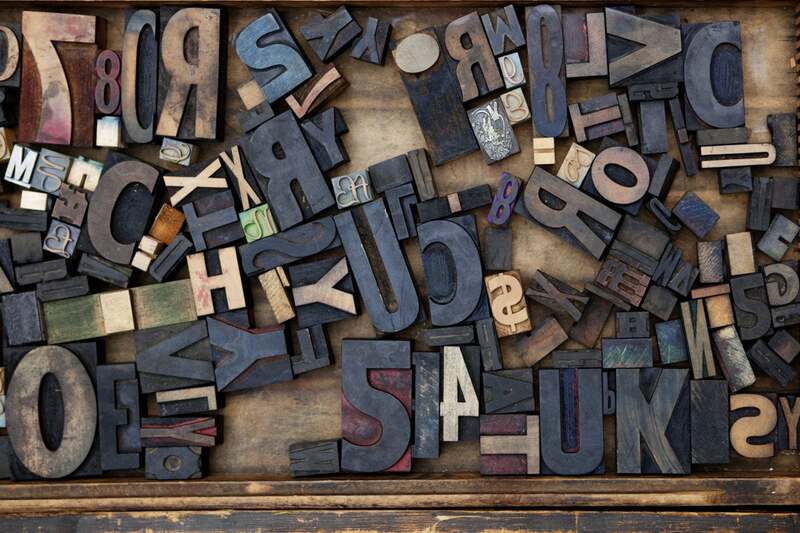 The text will appear in a frame, from which you can copy it and paste it anywhere. In our tests, Free OCR does a good job, but sometimes it adds extra characters and odd s.aces meaning you may have to clean up the text to make it more presentable. This article originally published as an Answer Line column August 29, 2013, by Lincoln Spector.